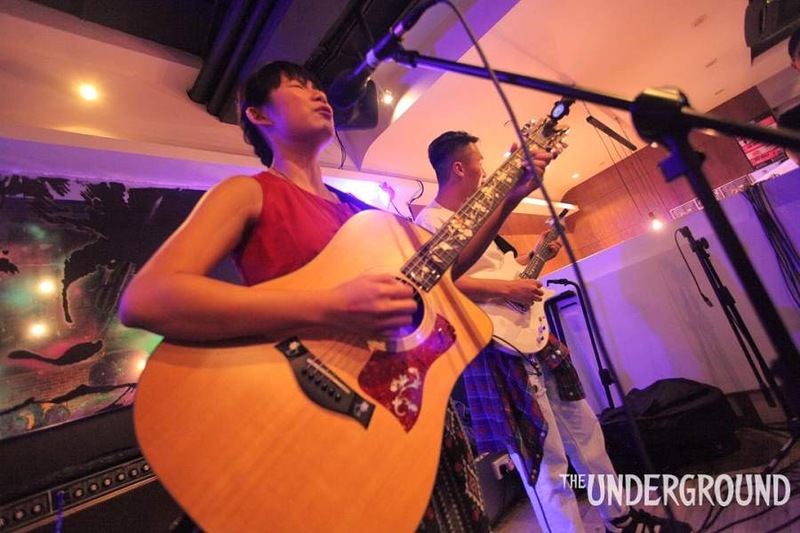 Following on from her interview in last Sunday’s South China Morning Post and her performance on RTHK Radio 3, there was some real anticipation for Olga Chung’s set tonight as our final act of Rustic #3. She’s comes across truly grateful to be here and just happy to share her music with us. She kicks off her set with a song called Carry Me Away. Straightaway I’m loving the simple percussive style she plays on guitar, perfectly understated, carrying the song along. I’m not sure the keys work for me here, but other than that it has a sweet and joyful sound like it should be in a Disney film. Perhaps when the main character goes into the mountains and has some kind of epiphany which changes the direction of the whole movie. She talks about her songs like a true artist and songwriter. Taking real experiences and feelings and putting them into her songs. Just like on Coffee and Sleeping Pills which has a wonderful message in that we should make the most of our time. The keys now sound bang on. She’s got the perfect arrangement here for me. Silas on electric adds little plucks here and there which gives a bit of weight and variation to the song. The Disney theme surfaces heavily on Perfect In Her Way. Wonderfully uplifting and heart breaking all at the same time. She comes over a little quiet in places here though, I don’t know if that’s the sound levels perhaps. The slow break type middle eighth before the last verse and chorus feels exactly what the song needs. Olga switches over to keyboard for Bonfire, the verses of which come over very understated and the song comes to life for the chorus. The contrast between the verse and chorus is brilliant, a cool switch-up in intensity. Back In Time is her last song of the night, which includes a bit of mouth-keyboard. This gives the song a bit of a folky flavour to it. I’d love to see Olga in a cool chilled out coffee shop on a rainy day. The madness of a packed bar on a Saturday night may not have been her ideal setting, but the warmth of her songs left me with a smile and a spring in my step.